I have written about the unnecessarily labyrinthine health insurance system before, but the recent birth of my second child presented me with two rather vivid examples of the institutionalized inefficiency I have come to loathe. As a part of my health insurance policy, my wife is entitled to a single consultation with a certified lactation consultant per pregnancy. She conducted diligent research and finally located an in-network facility that employed a lactation consultant accredited by everyone except the American Dairy Association. The session was informative and we congratulated ourselves on taking advantage of this benefit with no out-of-pocket cost. So imagine my consternation when I received a bill for the appointment because insurance had declined to cover it. With my coverage book in hand, I called the nationally-known provider that administers my insurance in order to bring this error to their attention. Her – Yes, but they did not code it as a preventative services visit and all lactation consultations must be billed in this manner. You will have to call the clinic back and have them submit a corrected claim. Me – That seems rather illogical since the purpose of the visit was to facilitate lactation not prevent its occurrence. Her – I am sorry sir, but we cannot pay it unless it is coded correctly. Me – This was not a colonoscopy or mammogram. The only condition this visit could have prevented is inefficient lactation. Can you honestly tell me that lactation consulting is a preventative service? Her – I spoke to my supervisor and it appears to have been a billing glitch. It will be paid within two weeks. I fully understand the need to guard against fraudulent claims, but this bordered on obstructionism. The insurance provider could clearly see that my wife was pregnant and that we were billed by an in-network provider for the very service my policy covered. If the claim was submitted under the name of a 75 year-old man and the service was rendered by an accountant, I could understand the scrutiny. Unfortunately, this was only the beginning of “lactategate” since my next task was to obtain reimbursement for a manual breast-pump. My health insurance policy will not cover an electric breast-pump unless my newborn is placed in the NICU. Otherwise, they will only cover a manual model. 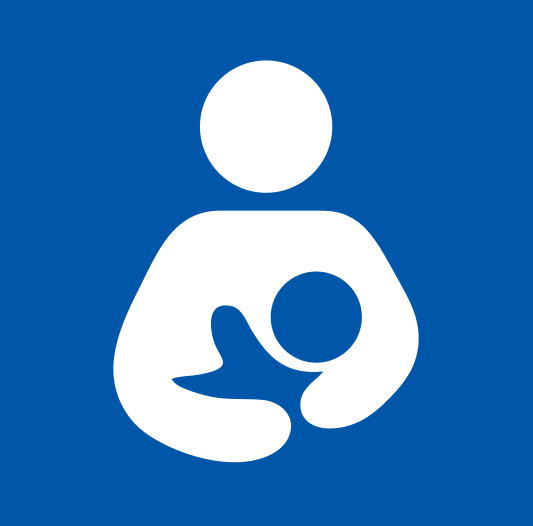 Thankfully my child was born without complications, so I ordered a manual breast pump from Amazon and logged into my provider’s website to locate the reimbursement forms. Still unable to find the form, I called and spoke to an associate. After asking me if the breast-pump in question was for me or someone else on the policy, they informed me that the only way to obtain reimbursement would be to take a blank sheet of paper, attach the receipt, and write my Subscriber ID, Wife’s full legal name, and her birthday. I was then to place this piece of paper in an envelope and send it to a P.O. Box at the other end of the state. I would hear something back in six weeks. Me – Are you telling me, that in the year 2015 a company with a website that allows me to see the processing of E.O.B. claims in real-time and has a corresponding smartphone app cannot allow me to submit a claim form on their website? Her – I am sorry sir, I do not know what to tell you. Me – How is that even possible? Her – Well, it is a security and privacy issue…. Me – Wait, so you are telling me that your website is not secure but you are uploading my HIPAA sensitive records to it? Her – Let me place you on a brief hold….. Her – Why don’t you just fax the info to this number and it should be scanned into the system by the close of next business day. Is there anything else I can help you with? Our system becomes more and more complicated with each passing year. In 2013, the not-for-profit organization that administers my health benefits plan was left with a $256.2 million surplus despite spending almost $1 billion in “Administrative expenses and broker commissions.” This roughly equates to $83 extra for every human they cover. Undoubtedly, they would argue that this money was re-invested into the community or retained as a legally-required surplus; and that is a reasonable counterpoint since medical costs are so unpredictable. Why are they so unpredictable? The birth of my child will generate at least 5 separate events at no fewer than 4 private medical billing organizations (all of which will take a cut). The hospital will generate two separate bills for the child and the mother, while the anesthesiologist, OBGYN, and pediatrician will all file claims for the same event. That is why an amused chuckle is the only answer you are going to get if you ask someone in the medical community how much a textbook vaginal delivery costs. No single entity can really see all the moving parts and even the ones that come closest (like my insurance carrier that often benefits from pre-negotiated contracts with providers) are still forced to pad their coffers with obscene surpluses. At the close of 2013, my provider’s surplus was over $740 per covered individual and growing. Perhaps this is a microcosm of why an average of 30% of the money American’s spend on healthcare is absorbed by administrative fees and bureaucracy.